Createspace Independent Publishing Platform, 9781722402648, 278pp. Pam Wheeler checked every box: Happy marriage? Check. Fantastic kid? Check. Booming career? Check. So when her husband dies in a freak accident and their DIY empire goes on life support, Pam must fix the relationship with her troubled and grief-stricken daughter and save the family business. Pam and Nate were a couple who just couldn't get away from each other, sharing not only their bed, but also a successful lifestyle empire as DIY home renovators, bloggers, podcasters, and co-authors. When Nate dies in a freak accident, Pam becomes a 44-year-old widow, at once too young and too old--too young to be thrust into widowhood and too old to rejoin the dating pool. Now the single mother of a headstrong and grief-stricken teenager, Pam's life becomes a juggling act between dealing with her loss and learning how to parent by herself. On top of all that she also must reinvent herself or lose the empire that she and Nate had built so carefully. It is time for Pam to seize the opportunity to step up as a mother, come out from behind Nate's shadow, and rise as the sole face of the Designer You brand, and maybe, possibly, hopefully, find love again. Sarahlyn Bruck writes contemporary women’s fiction and lives in Philadelphia with her husband and daughter. She is the author of DESIGNER YOU, published by Crooked Cat Books on August 31, 2018. She has an MA in English from Cal State Los Angeles and teaches writing and literature at Bucks County Community College. She also coaches writers for Author Accelerator. 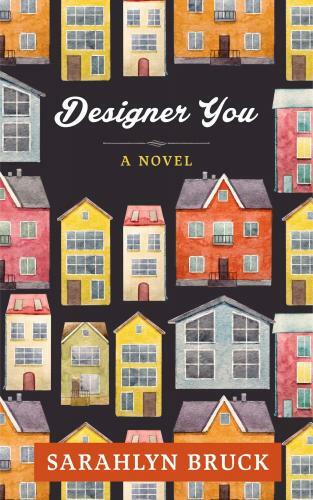 DESIGNER YOU is Sarahlyn’s debut, and she is hard at work on her next book.